The Electrochemical Innovation Laboratory (EIL) at University College London (UCL) is using Zeiss Xradia 810 Ultra X-ray microscopy to study the inner-workings of batteries and fuel cells. 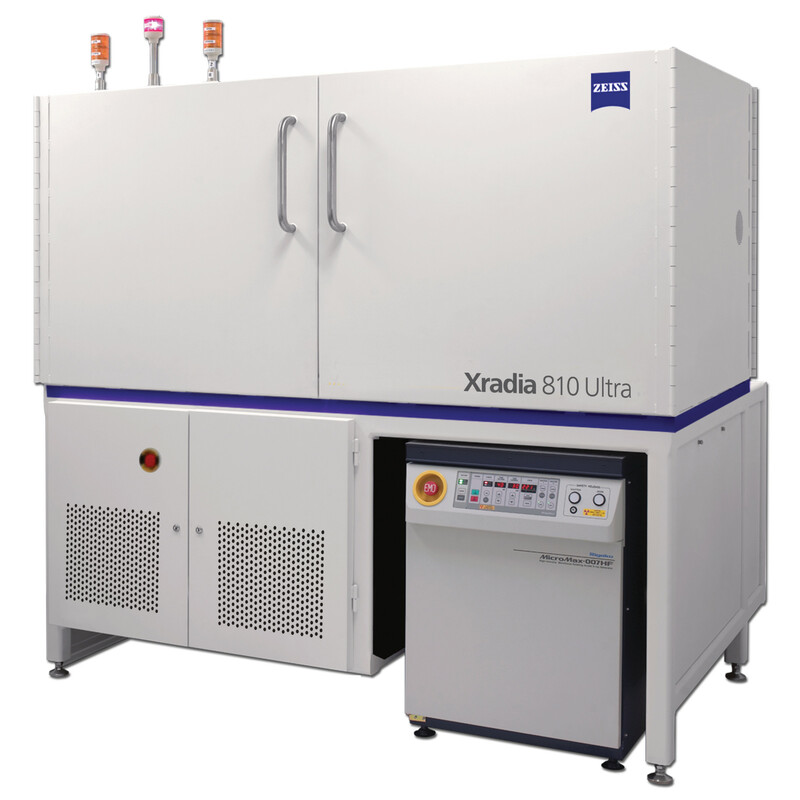 The Xradia 810 Ultra enables the team of researchers to study the evolution of microstructure down to 50nm resolution, revealing the fine details of lithium ion batteries in 3D. Combined with the high penetrating power and sub-micron resolution of the Xradia 520 Versa 3D X-ray microscope, the research team at UCL is able to achieve multi-scale results, relating large features in the package to the complex pore pathways within the electrode layers and separators. “With Zeiss Xradia 810 Ultra we can accomplish non-destructive 3D imaging with spatial resolution comparable to the synchrotron sources, achieving important results in a range of disciplines including chemical engineering, materials sciences and earth sciences,” says Francesco Iacoviello, Electrochemical Innovation Lab (EIL), Chemical Engineering, UCL. Since X-rays have the power to penetrate visibly opaque objects, the specimens for X-ray microscopy are not “sliced” prior to, or during imaging – consequently it is possible to extend these investigations into the 4th dimension, to explore the evolution of 3D microstructure with time. By delivering high contrast at 5.4 keV, the system makes high-resolution X-ray imaging viable for a variety of difficult-to-image materials. With both absorption and Zernike phase contrast modalities, it becomes an ideal tool for materials research - helping optimise design of such functional materials as batteries, fuel cells, catalysts, composites, and construction materials - but also a broad spectrum of additional applications from medium to low Z, carbonates to shale, tissue to biomaterials, and polymers to metals. 3D mapping of such systems complements existing 2D microscopy techniques and helps enhance understanding of properties and behaviors such as porosity/pore connectivity analysis, fiber orientation, crack propagation, particle size/distribution, and delamination effects. It can also be used to obtain realistic 3D microstructure data to improve computational models for bottom-up design of materials and to study and predict material properties.